and iii) the inability of Hadi’s exiled government’s national commission to investigate the violations of the laws of war by any party to the war on Yemen. We bring to your attention our continued concern with the Hadi government in exile’s lack of cooperation with George Abu al-Zulof, the OHCHR representative in Yemen, by recently designating him as persona non grata due to his documentation of human rights violations in Yemen. It is concerning that the High Commissioner for Human Rights had to emphatically remind Hadi and the Saudi-led Coalition that the UN’s job “is not to highlight violations committed by one side and ignore those committed by the other.” The UN Human Rights Council tasked the same person who deemed the OHCHR representative persona non grata with implementing a resolution adopted by consensus that calls for the National Commission to investigate the crimes being committed by all parties to the war in Yemen. Despite Hadi’s subsequent retraction, his status as part of the Saudi-led Coalition, coupled with his statements and actions, makes him unfit for the position as a neutral arbiter with respect to the crimes being committed. We express our concern with Hadi’s inability to implement the UPR recommendations, namely the ratification of the Rome Statute by Parliament. The Rome Statute is critical to seeking redress for the crimes in the International Criminal Court’s jurisdiction that were, and continue to be, committed against civilians in Yemen. 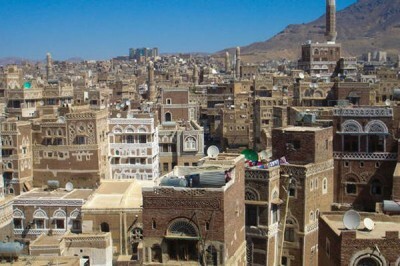 Because there is no functioning government on the ground, Hadi will not be able to complete the ratification process nor would it be in his interest to do so if he actually had a functioning government since he is an integral accomplice to the commission of crimes in Yemen and cannot be reasonably expected to prosecute himself nor the Coalition he is a part of. We express our deep regret and sincere disappointment with the decision to withdraw the draft resolution tabled by the Netherlands in the 30th Session. Our reservations with the Resolution tabled by Saudi Arabia and that was adopted by consensus (A/HRC/30/L.1/Rev.2) include, but are not limited to, the acknowledgement of Hadi’s Presidential Decree No. 13, which calls for the establishment of a National Commission that will not meet international standards. Moreover, there are no legal grounds for the establishment of a National Commission by a government in exile. The legislature, the judiciary, and the executive, should facilitate the implementation of these obligations. Given that the Hadi government is not functioning in Yemen, it cannot carry out its duty of investigations in Yemen. In addition, the National Commission is biased. This is demonstrated by the decree itself, the purpose of which is to investigate and prosecute crimes committed by local parties without reference to the crimes being committed by the Coalition led by Saudi Arabia. Set up an independent international commission of inquiry into the crimes being committed by any party to the war on Yemen. Call for the imposition of an arms embargo on the Saudi-led Coalition. Call for an end to the war on Yemen both the airstrikes and the blockade and full withdrawal of all foreign forces from the territory of Yemen. Facilitate humanitarian access to impoverished areas. Provide support to Yemen in its struggle against violent extremist forces. Facilitate Yemeni-Yemeni dialogue without foreign intervention. Arabian Rights Watch Association (ARWA) is a nonprofit, nongovernmental human rights organization based in the District of Columbia and is comprised of global members including human rights activists, lawyers, professionals and academics of diverse backgrounds and nationalities.